Opening the front cover. 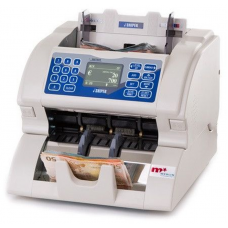 Detects new and old series of notes, dirty and soiled notes. – High speed detection: 1000 notes/min (in value mode). 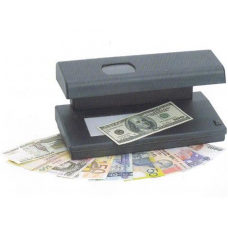 – Easy software upgrade using USB for new banknotes and new counterfeits, local currencies. – Easy maintenance with a ..
1. UV, MG, WM detection function with magnifier. 2. Automatic inductive sensor. 3. The unit will enter the rest state automatically after using, which will save the energy. 4. Alert indicator and alert beep are optional in magnetic detection. 5. 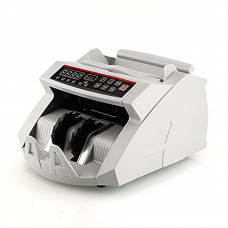 The magnifier size is 50*42mm, multi..
YX-2108 Cash Counting MachineFeatures 1.Automatic half-note detectio 2.Automating start,stop, stopand clearing 3.With batching, adding and self-examination functions 4.Automatic detecting with UV (ultraviolet) and MG (magnetic) while counting Suitable for most currencies in the world Specifi..